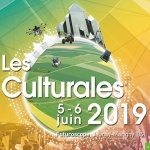 After years of experience in conservation tillage machinery, we have travelled the world to find a no-till coulter design we could adapt for European conditions. 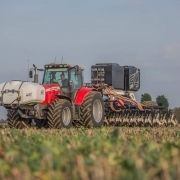 Weather and climate is constantly changing, conditions change, residue levels change, so choosing the correct coulter is vital to your success. 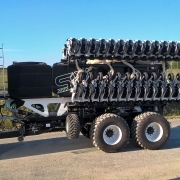 We quickly found out that the no-till drill which could fix most of these issues, is available in Australia, pioneers of the No-till technic, and made by BOSS. Cyrille and George then proposed to BOSS, a partnership whereby Sly and BOSS share experiences and technology. 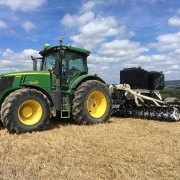 We have then successfully combined years of BOSS's experience in the toughest conditions, with our knowledge of the European requirements and we end up with a new and innovative no-till drill. 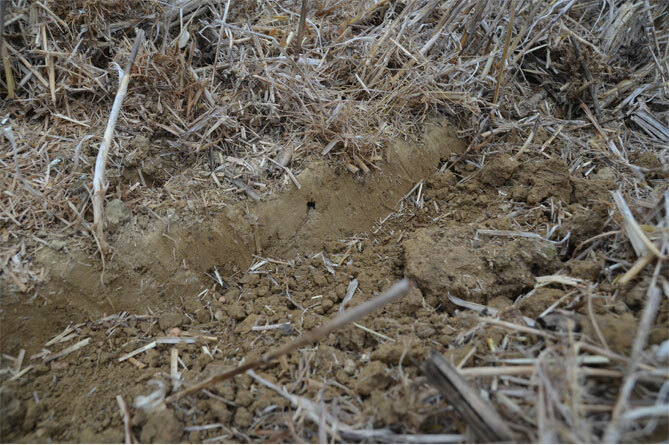 associated with no-till are the same no matter what the brand of coulter/drill or machine. Could there be a link ? 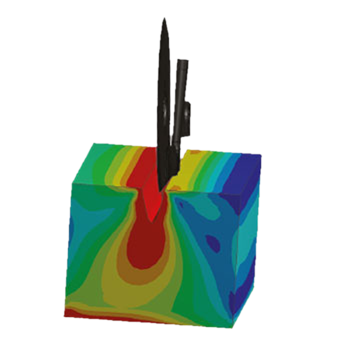 Thanks to both field testing and 3D modelling we have calculated different simulations using both existing and new designs of disc coulter. We have considered the soil as a known material to see fi any correlations appear. The red zones show compaction, blue show little compaction. 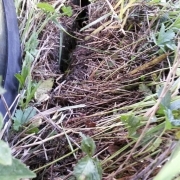 Red zones have confirmed the two difficulties of penetrating in the dry versus closing a furrow in the wet. 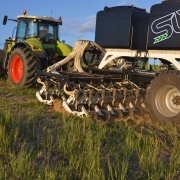 It has also shown how a lack of row cleaners can cause more severe compaction when planting. More reside means a greater surface area pushing down and therefore a wider and larger compacted area. It is simple to understand that when any seed germinates it first anchors itself with roots and begins nutrient and water uptake, so it is vital that this first stage of life is a success. A concept that caught our eye in Australia was the double angled disc, also called the undercut disc. 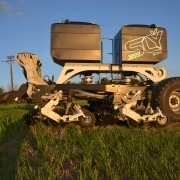 This solves many problems associated with no till seeding. When we run analysis on the double angled disc we found that the down pressure requirement was reduced and more manageable versus seed furrow compaction. We also observed the inflation of soil on the outside of the disc. If we place a gauge wheel at this position then sever localised compaction would occur. 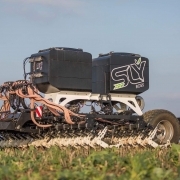 WHAT COULD BE THE IDEAL NO-TILL DRILL ? 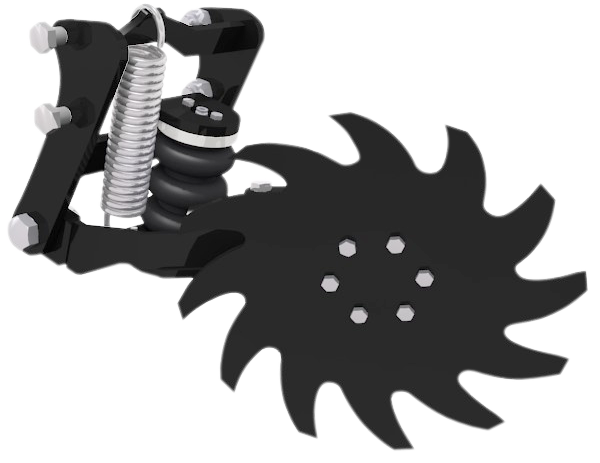 The Boss unit from Australia has been adapted by Sly for European conditions, it features a double angled disc, working by snatching. The gauge wheel is at the back of the unit and is also the closing wheel. 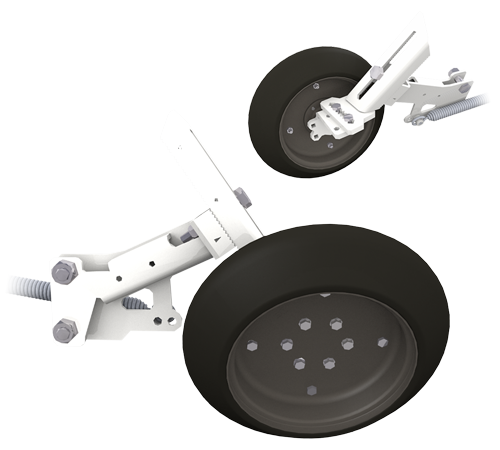 The side wheel is mounted on a spring and acts as a scraper and keeps the soil in the furrow. 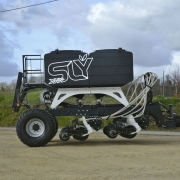 To manage residue a Sly row cleaner is available with pneumatic down pressure, controlled from the tractor cabin. BUT WE CHANGED THEM A LITTLE ! 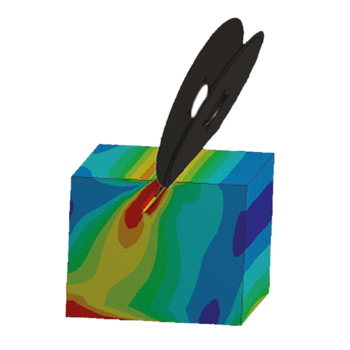 Why add weight and pressure when the disc seek to penetarte by itself ? The double angled disc of the BOSS drill works by snatching. Thanks to his conception, it always try to get more and more in the ground according to speed and depth. The faster and the deeper you you, the less pressure you’ll need. This ensure a great furrow quality : clean and less pack or even « unpack », which will allows a seed germintation and root development. The unit is mounted on a parallelogram. 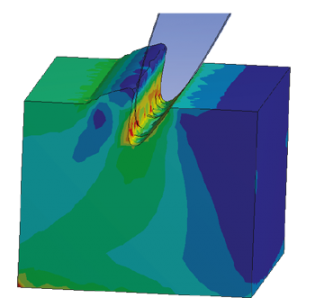 Down pressure is achieved via hydro-pneumatics. 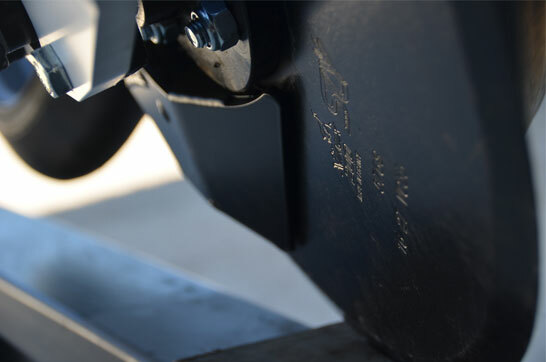 Connected to a sensor on the gauge wheel, the hydraulic down pressure allows ultimate control of the coulter pressure. 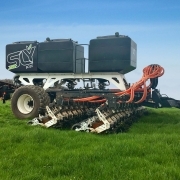 This gives an ideal situation to monitor and control furrow compaction and depth. Farmers very rarely use precision planters without row cleaners in no-till, so why do we do it with drills? The Boss concept greatly reduces hair pinning when following a crop like wheat with chopped straw. 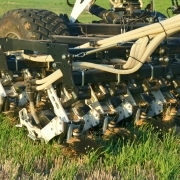 The use of row cleaners is optional but it allows the owner of the drill to choose which solution is correct on a given day, since no day is the same and no field is the same. The seedboot is placed in shadow of the disc. This allows excellent performance in wet sticky conditions. 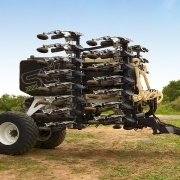 The seedboot is positioned to never touch the soil and such that the front of the disc is the only soil contact point. 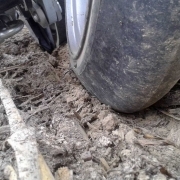 The wet soil is cleaned by an active scraper (the side wheel). 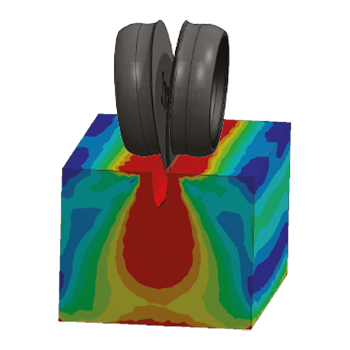 The less static parts in contact with the soil results in far less risk of plugging/bunging. 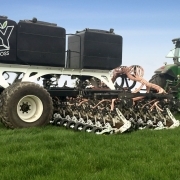 The concept allows for drilling in the same direction as last year’s corn rows. 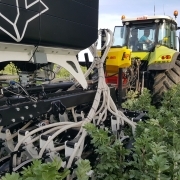 If you do not need to run at an angle to last year’s crop, there is a better chance of implementing practices such as CTF (controlled traffic farming). No angle generally means a smoother travel and better seed placement improving emergence and therefore yields. 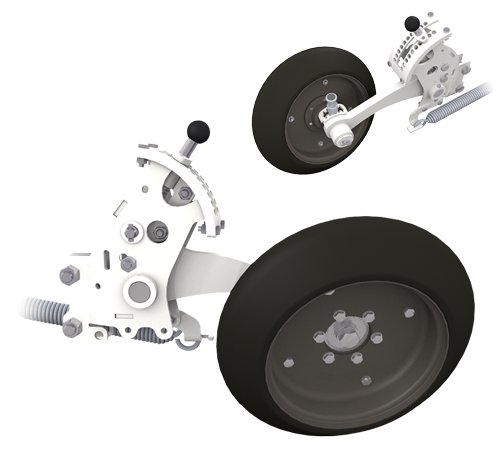 The gauge of the unit can be done either by the rear closing wheel or the side wheel. We intentionally chose to allow both. It all comes down to the same problem, no condition is the same, our customers must have flexibility. 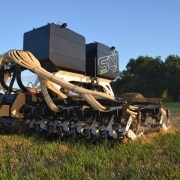 This position will be the most accurate to drill in the best conditions or on prepared soil where there is no problems of penetration or furrow closure (fields that may have been lightly tilled or are in very good condition post harvest). 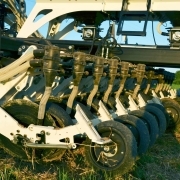 The wheel is close to the seed boot and so depth control is like a precision planter. 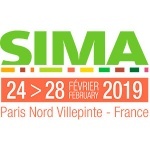 The position will be the more efficient and accurate in pure no-till conditions: The gauge wheel is the closing wheel which is running on a cleaned row to improve depth control. In no-till, a gauge wheel on the side runs on crop residue, which means that the depth can be inaccurate and is very susceptible to the condition of the field and what residue is left. 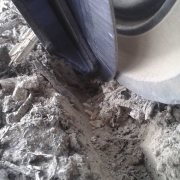 As we have found residue effects furrow compaction and a sold side wheel can increase sidewall compaction so rear gauging is preferred in no-till. The closing wheel has a very important job to do, if incorrectly chosen it can have detrimental effects on the emergence and yield. On our unit it has two jobs, closing the slot but also most of the time gauging the seed depth. 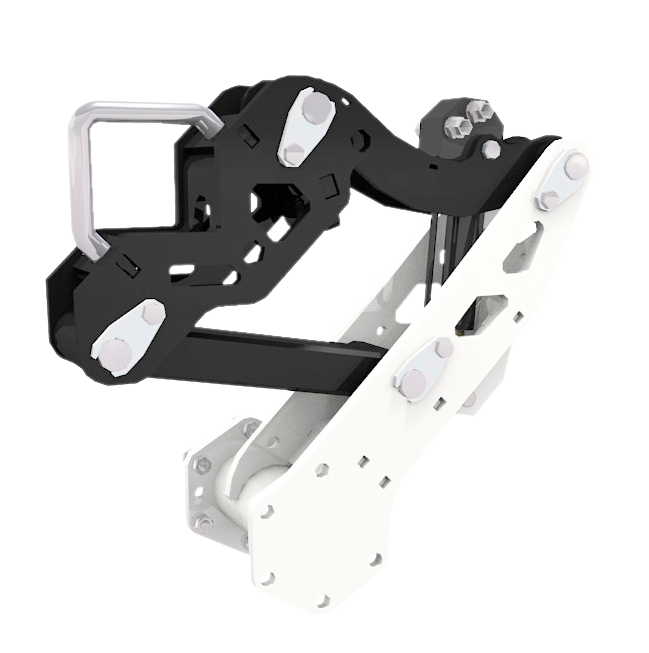 On the Boss unit the closing wheel, closing angle and the seeding depth is adjustable all, with or without the need for tools, row by row. 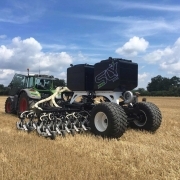 This gives the farmer ultimate control of the seed depth and closing furrow in any conditions or soil type (for example behind the tractor wheels). 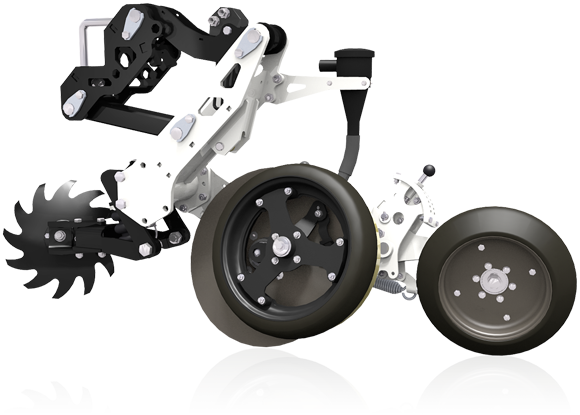 To suit every soil type, different closing wheels are available and if none of them are your preferred the bracketry and axle is designed to suit the most common types of closing wheel available on the market. 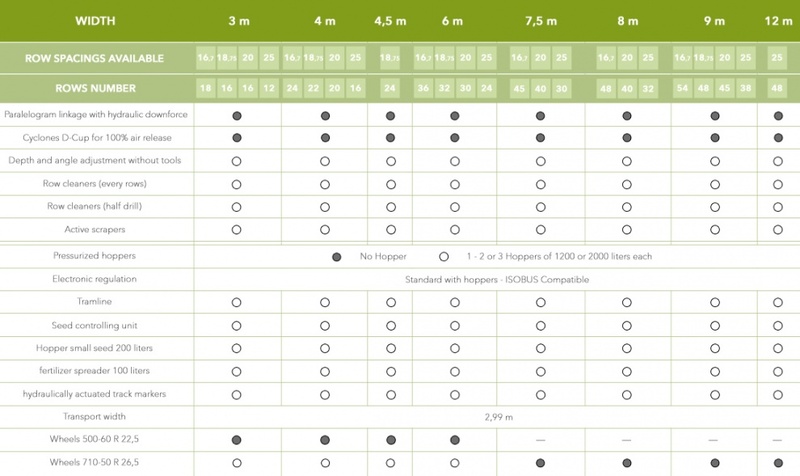 From 3 to 9m machine widths, from 0 to 4 hoppers, row spacings available : 16.7 - 18.75 – 20 ou 25 cm. Select the BOSS that suits you.